Michael Dirr said “Small, dapper, handsomely clothed trees are a rarity, and trident maple qualifies as one of the best.” Well said. I would add that the trunk and limbs have an almost “muscular” appearance that attracts the eye in a wondering way. 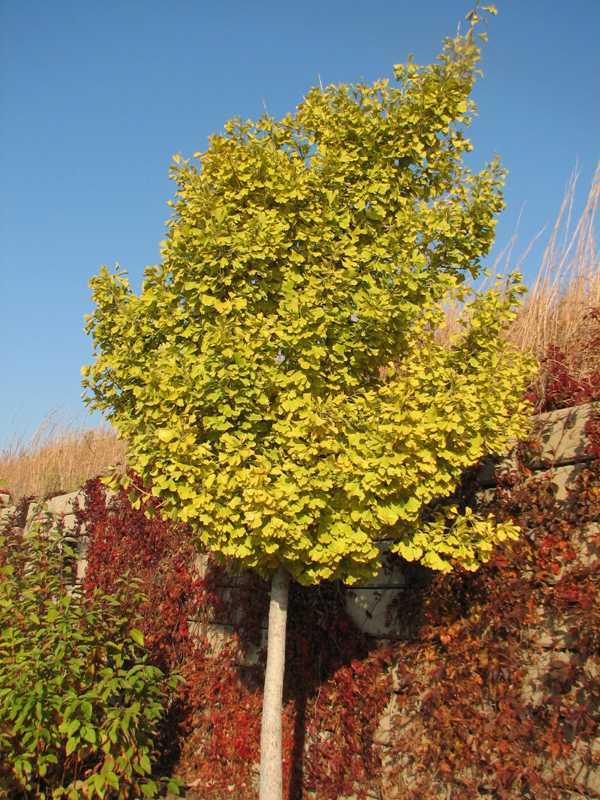 Other aspects – leaves, fall color, bark, samaras – give this small tree four-season interest. This lovely tree is sadly under-planted and deserves considerably more attention from gardeners and the trade. Michael Dirr comments: “Acer saccharum does tolerate less-than-ideal conditions, although it is not a tree for high-stress environments.” He also called sugar maple “The true nobility of fall-coloring trees – challenged by many, rivaled by none.” For states west and south of Missouri, Dr. Carl Whitcomb recommends A. saccharum ‘Caddo.’ His research shows that trees grown from 'Caddo' seed are much more resistant to drying winds and drought and much better adapted to the prairie states. I’ll add that sugar maples are glorious in the fall. 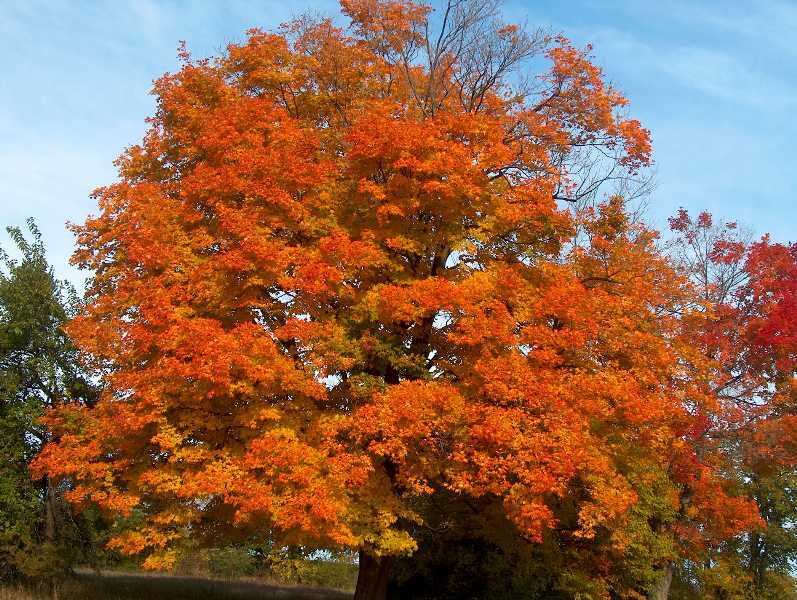 The yellow to orange colors begin at the top of the tree, and appear to cascade down the crown over a reasonable period of time. 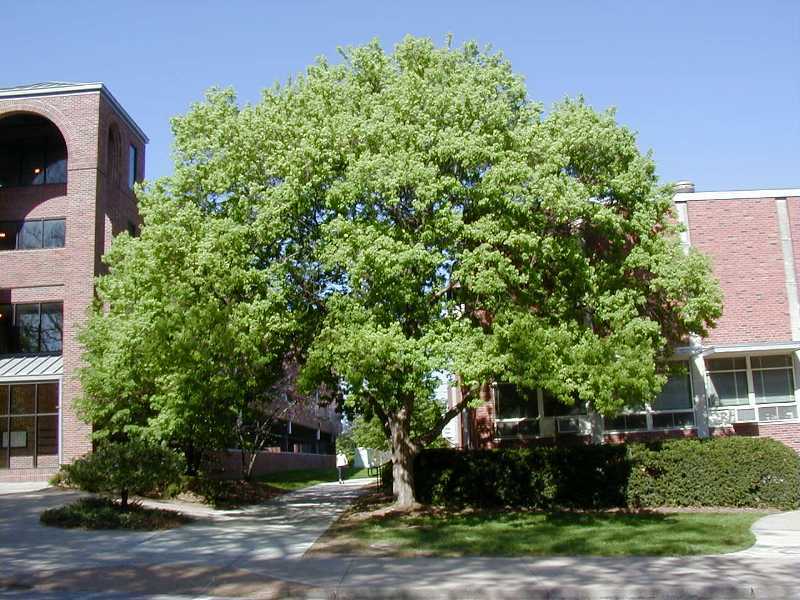 This tree isn’t the best choice for highly urbanized, commercialized and concentrated portions of any city… It will, however, serve admirably for many, many other sites in cities and the suburbs. 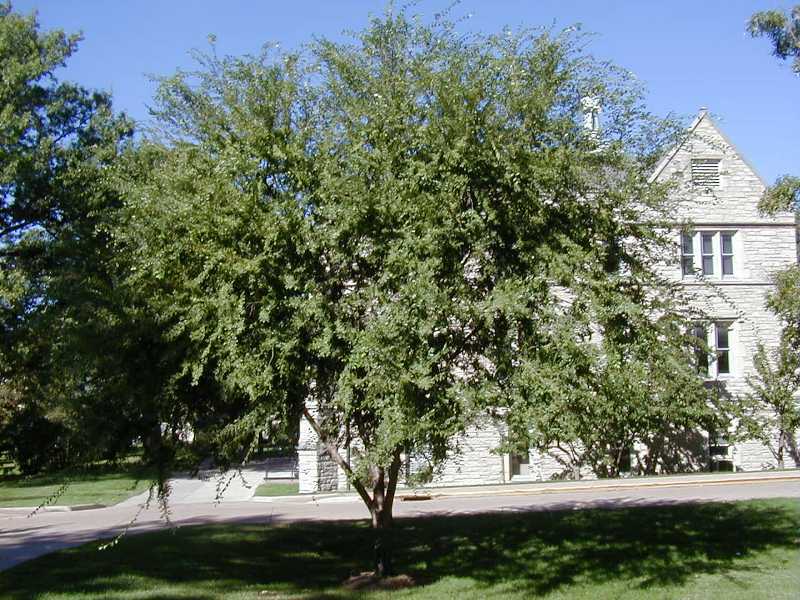 Dr. Carl Whitcomb said “A handsome tree that should be used more.” and “A superior tree to the American hornbeam for most landscape uses.” Dirr comments, “In the garden-making process, this species should find a place of prominence.” I will add that its various forms – upright, round, and weeping – give the gardener interesting options. The extremely hard wood should interest gardeners who have lost limbs and trees in ice storms. Whitcomb says “Tolerates a wide range of city conditions…” Dirr tells us “The ginkgo has existed, unchanged, for some 150 million years on the planet earth.” That alone should make it appealing to those among us who hate or resist change. On a more serious note… the fan-shaped leaves are just… fun… not to mention attention getting and attractive. The fall color is spectacular. This venerable tree grows well in virtually every one of the contiguous states. Its lineage alone makes it worthy of our attention. Dirr points out: “This species never receives its due, but it offers amazing climatic and cultural adaptability as well as stunning flowers and handsome fruit.” Whitcomb adds: “Grows almost anywhere: A very adaptable and tolerant small tree.” and “…is deserving of the attention it has received.” Former clients have screamed about the red-shoulder and boxelder bugs… but only if the tree is planted too close to buildings or sitting areas. They are basically harmless to the tree… and to humans. The bloom and seed capsule combination make this tree stand out in the landscape. Donald Wyman describes this tree as having “beautiful, fine texture…” Whitcomb, not a man prone to excessive platitudes, says: “A near perfect tree.” One of the few trees to survive the recent ice storms in Oklahoma without a great deal of limb loss. One qualifying note: pistachio does not easily tolerate moist and wet soils. Given that qualifier, this is a wonderful, beautiful, and worthy tree. It should be planted more extensively… as long as we don’t use it in an almost mono-crop fashion the way we did the Bradford pears. 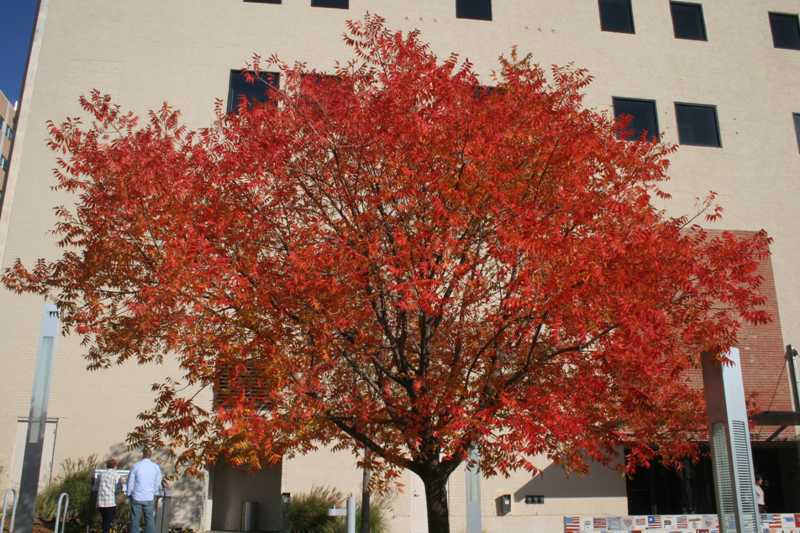 Dr. Whitcomb says: “has been found to tolerate urban conditions very well, growing at an exceptional rate in fair to good soils”, “slightly more tolerant of heavy clays than northern red oak”, “fall color is red-orange to orange”. Oaks are strong, majestic, generation-spanning, shade-giving, noble trees. Shumard oak is one of the best. A list of recommended street trees would somehow seem to be inaccurate without the inclusion of at least one oak. 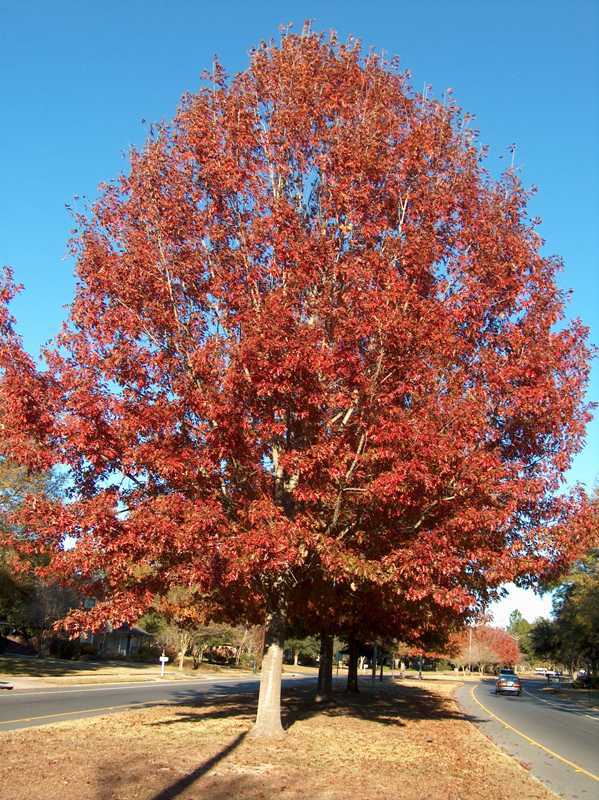 I’ve chosen Shumard oak because of its beautiful fall color, majestic form, and its long life. 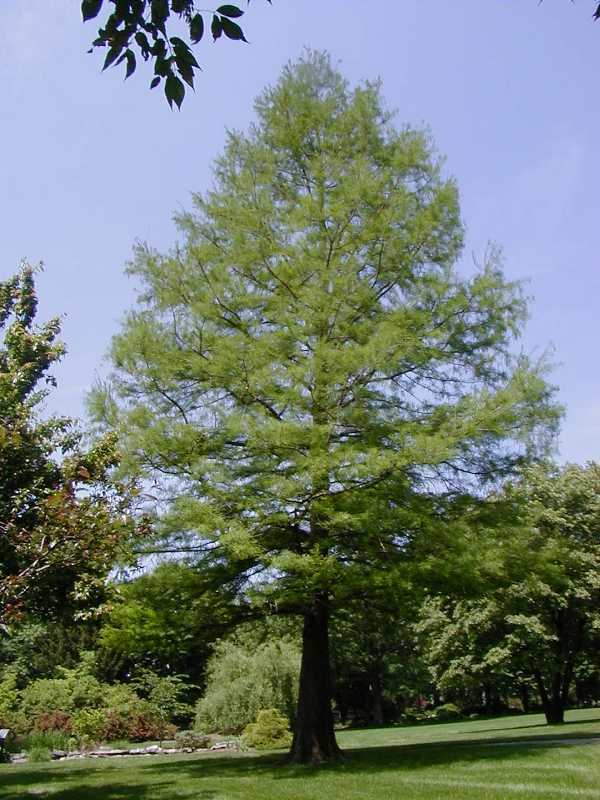 Michael Dirr says “Europeans consider the common bald cypress one of the finest North American trees…” Dr. Whitcomb calls it “A spectacular, fern-like tree.” This tree survived significant damage from the recent icestorms in Oklahoma far better than many other species. Beyond that, it has a distinct appearance in the landscape. The buttressed trunk, feathery foliage, bronzed fall foliage colors and almost razor straight trunk combine to give bald cypress a delicate, yet immensely strong appearance. 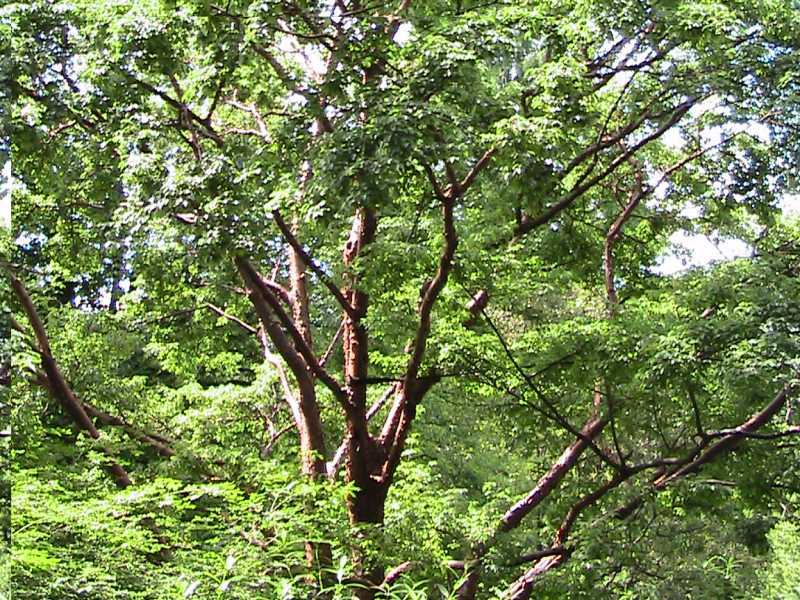 It is particularly striking when planted in 3–5 tree groupings. “Enough cannot be said about this very desirable medium-sized tree. Should be planted much more,” is Dr. Whitcomb’s summary comment. 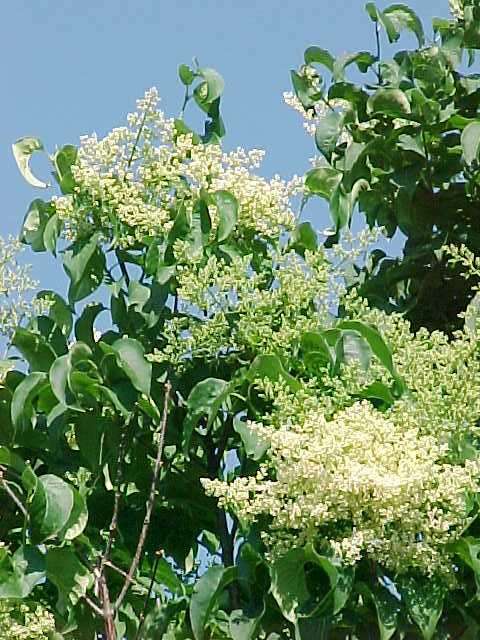 Michael Dirr goes a bit further: “Without question, this species should become the dominant shade and street tree of the 21st century.” I agree fully with these well-respected horticulturists. I will, however, put in a giant plug for the golden-leaved cultivars of this great species. I like the cultivar 'Golden'. The soft yellow color exists throughout the growing season. This quality offers a terrific contrast and compliment to the green foliage colors of adjacent trees. And then there is the bark. It isn’t as dramatic as the exfoliating bark of birches. It is more subtle, more complex, and more “intellectual” if you will. It’s also very beautiful…. even more so when the background is a wall of deep green conifer foliage… or the quiet white of snow covered ground. I've added a bonus tree. 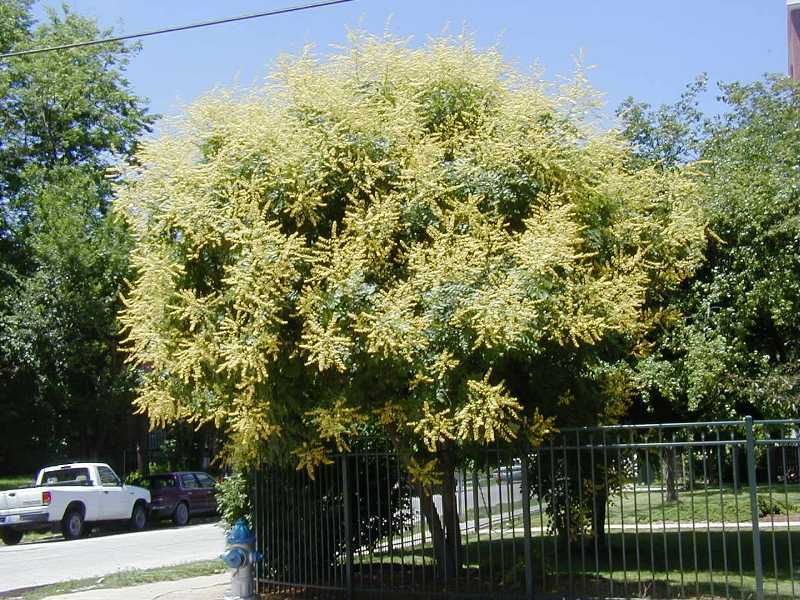 Dr. Whitcomb offers several positive statements about this tree, but I like his last sentence the best: “…if you find a specimen available and have a suitable site, buy it: you will not be disappointed.” Michael Dirr waxes eloquently about this small tree. But he, too, sums it up simply when he says “No finer tree could be recommended.” Seeing one of these beautiful small trees at the Missouri Botanical Garden, standing alone near the Climatron… or in a grove behind the peony border in Seiwa-en… should be enough to find you looking eagerly for a suitable site. If you want a birch for their terrific peeling bark, but don’t have room and don’t want the birch's highly competitive roots, the small and handsome paperbark maple is the finest choice you can make. You will not be disappointed.